When walking down the aisles of the supermarket it’s amazing how many fake health foods are flooding the shelves. Not only are they misleading and confusing for consumers, but it’s detrimental to overall public health. Take the Heart Foundation tick program for example. This is a program that is meant to help consumers choose healthier options, which it does to some extent. Companies have to meet certain criteria to have their food gain a tick. However, any packaged food can get a tick if it is a better alternative to other foods in its category. For example, ice-cream can get a tick, frozen pies can, as well as chips. Just because they are a ‘healthier’ version of a food product does not in any way make it healthy. But many consumers see the tick, or other labels such as ‘fat free’, ‘sugar free’ and ‘high in fibre’ and believe they are making a good choice. This is not necessarily the case. Because these products appear healthy, they’re easier to rationalise eating in excess. So having a bag of soy crisps is not a better version of a pack of chips, even if the packet does say they are organic. To make it easier in deciding what is ‘healthy’ and what is not, the best way is to have the majority of your food come from nature and not from a highly processed packet. Meat, eggs, dairy, fruit and vegetables. If you’re looking for more fibre, don’t turn to the packaged food that has the label telling you it has been fortified with extra fibre, look to increase your fruit and vegetable intake. A piece of cake for a colleagues birthday, a small chocolate in the afternoon, a bite of your child’s dessert, too many almonds for an afternoon snack, a couple of bottle of wines over the weekend, are all examples of how many people become undone when searching for the secrets of weight loss. You need to be realistic about what you are eating and drinking. This doesn’t mean you can’t allow yourself treats. Of course you can! But you need to be honest with yourself on whether they are being treated as treats, something that you have in small portions and not often, or if they are things that are creeping in to being daily/weekly habits. Food diaries can help if you feel this is an area you fall down on. If you are finding you do need a ‘sugar pick-me-up’ mid afternoon, it will probably come down to what you are eating for lunch. Having healthy satisfying meals is a way to avoid this, but unless you are being honest and clear about what you are eating, you won’t really know how to make changes. 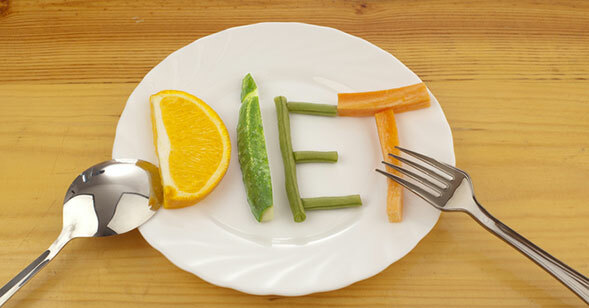 When many people get motivated to lose weight, one of the first things they will do is drop their carbohydrate intake. But this is not a long-term strategy to maintain weight loss. Even if you have had initial success with this approach, you will hit a major plateau and more often than not, go back to square one. The problem with low-carb diets is that if you want to lose weight, and keep it off, you need muscle, and muscle needs carbs. If you don’t eat carbs, you are more likely to get fatter in the long run. Low carb diets will generally mean that your desire for fat increases. So you begin to eat more fat than you need, but fat is not as effective as carbs are for weight training. To build and maintain muscle you need glycogen in your muscles and to restore glycogen in working muscles you need carbs. The solution then is to not shy away from carbs, but to time them around your workouts. Even many health conscious people are not getting enough protein. High levels of protein is the missing link for many people that are looking to lose weight. Why? Because protein makes you feel satisfied, preserves muscle and helps build muscle (when combined with weight training). Many people will decrease the size of their protein portion in their meal so they can fit in dessert later on, only to overeat on dessert because they weren’t satisfied. They don’t realise that extra protein staves off hunger, as well as prevents muscle atrophy. If you’re struggling to lose body fat, a higher protein approach might be a key to help you decrease your waistline. Seeing the scales go down is exciting, but weighing yourself too often can be frustrating and even make weight loss harder in the long run due to the psychological drain it can put on you. Successful weight loss is slow and gradual, no matter what shows like The Biggest Loser tells us. Everybody’s weight fluctuates daily and a woman’s weight can fluctuate even more during her menstrual cycle due to fluid retention. We all know that muscle weighs more than fat, but it also looks different, it’s smaller and tighter. A better way to track progress is by taking measurements around your waist, arms and legs, as well as seeing how your clothes fit. This doesn’t mean you can’t weigh yourself, but weight is not everything and it is only one tool to measure success, and to be honest, it’s not even the best tool. When people want to lose weight, what they generally mean is that they want a better body composition, and sometimes losing weight isn’t even the answer to getting that.